After a hard day of working, running errands, or taking care of any other of life’s complications, it is nice to just sit back on the couch with a good movie and a glass of red wine. Some may call it a distraction from the stresses of the day, but I like to call it my relaxation or decompression time. Just like computers that need to occasionally reboot or defrag, people need time to just forget about all the stress and nonsense of everyday life. However, all too often we forget that our children need this time as well. All the things like standardized testing, rigorous academic work, and just fitting in with your peers can be pretty stress building. It is important for kids to have some time to chill out and relax as well when they get home from school. Our daughter likes to grab a healthy snack and watch an episode of a baking or cooking show on Netflix. Our son on the other hand enjoys shooting hoops to get the stress out. It is important as parents that we don’t rush them into doing their homework or other related activities. They are just like us adults and need their down time as well. If you are worried that your kids are watching too much TV already you can always introduce them to the Netflix Passport. Click on the link and you will be able to download a printable Netflix Passport with instructions. The idea behind the passport is to encourage your kids to make an adventure out of watching mind-stimulating programs on Netflix. 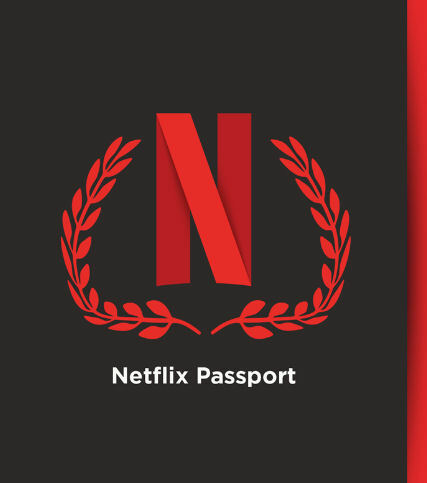 Just like a regular passport that gets stamped when you visit different countries, the Netflix Passport encourages you to create your own stamps based on the programs you watch. Let’s say that your kids are in the mood to explore different cultures of the world they could check out “The Human Planet: Behind the Lens.” This is a documentary about people that make the documentaries. You know all those interesting and amazing films about animals and people of world cultures? Well this program highlights the people who make those films happen. If your children are like my daughter and would prefer cooking over cultures they may want to check out “A Cook Abroad.” This show is about 6 cooks, 6 countries, and 6 incredible journeys. Or maybe your child is a big fan of dinosaurs and wants to check out “Dinotasia,” and incredible show that brings to life prehistoric creatures with incredible realism. After your child watches every program, encourage them to create their own unique passport stamp based on each show. They can put it into their Netflix Passport and use it to show everyone what adventures they took part in through the marvels of Netflix. They will have so much fun stimulating their minds that they won’t even realize that they are learning something in the process. Going on these adventures will also allow them to relax for a little while and just be kids. Watch the ladies of wrestling enter the ring with GLOW and buckle up for a mind-bending ride in the psychological thriller Gypsy. 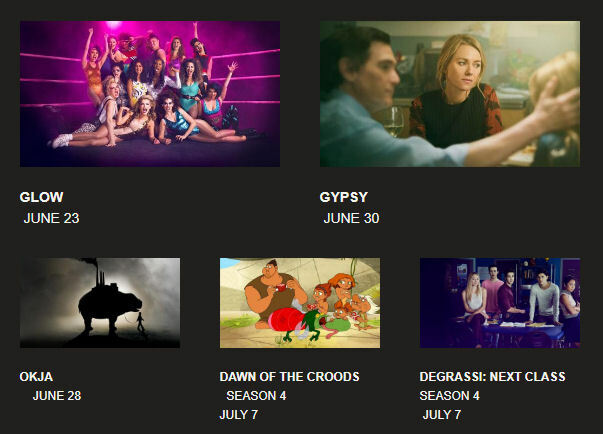 Then make way for the scene-stealing Okja and for the kids, class is back in session with Degrassi: Next Class, and Dawn of the Croods. Disclosure: I shared this post on behalf of Netflix as a member of Netflix #StreamTeam. Regardless, these or some other movies that we watched on Netflix and enjoyed.